FACT #1:Trump has nearly three times the amount of followers on Facebook. Look whatTrump’s live stream videos do when compared to Hillary’s. Fact #2: Trump has 18.6 million twitter followers. The best part is that most of Hillary’s are actually fake. According to the Washington Examiner, 41 percent of Hillary’s “followers” are not even real people. Fact #3: Trump averages 160k viewers per live stream. Instagram is a platform with mostly all pictures and not much substance – exactly what Hillary supporters love. And still she does very poorly in this medium. Trump has more subscribers than Clinton on every major social media outlet but what is even funnier is that there are nearly 3 times as many people subscribed to “Hillary for Prison” than there are subscribed to the Clinton page. The best part is that the DNC’s leaked emails fromWikiLeaks have proven that Clinton pays people to support her online. Trump supporters on the other hand willingly actually like and follow him on Social media. Trump actually has the support of the people. He is going to win this election come November no matter what the mainstream media would like you to believe. SHARE THIS INFORMATION!!!!! We have to fight against the mainstream media and their attempts to steal the election away from Trump. Is it easy to host multiple blogs on Amazon EBS? 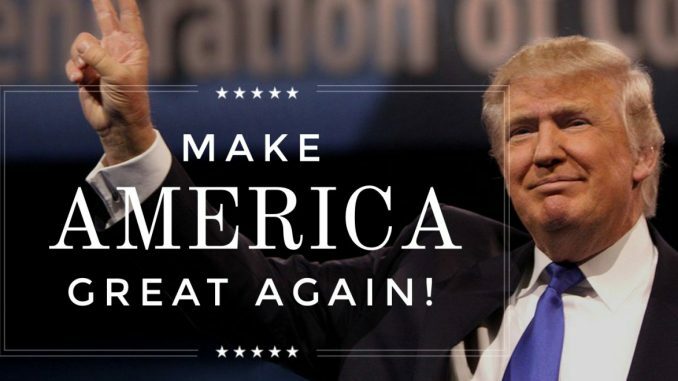 Mr. Trump has had and will continue to have MY VOTE!! I am ready for a change from the corruption in Washington DC and DEMOCRATIC “RULE”.